The Big Bumbles have taken a keen interest in listening to events from each others holidays. In light of this interest, together we have created our own holiday/beach area which has been a big hit. 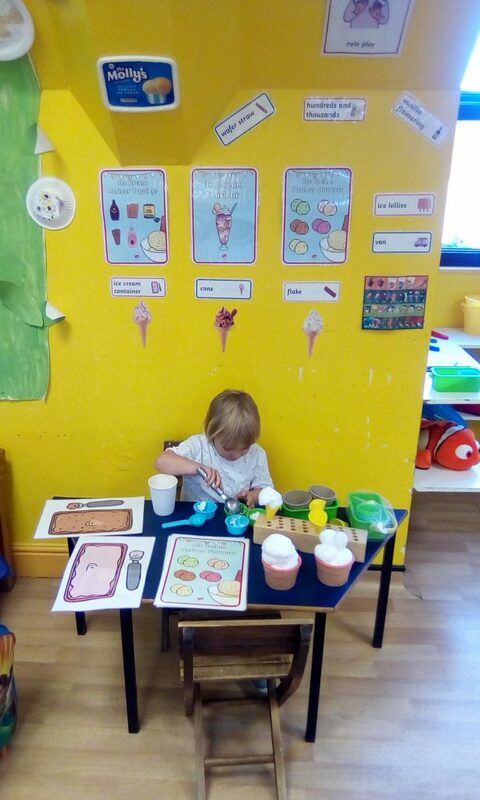 The Bumbles have loved packing their suitcases, playing at the beach, paddling and making ice creams. The children have had great imaginations based on their own first hand experiences.